Each year we like to reflect on the previous season, recognizing those rides that have innovated, inspired and motivated cyclists, supported worthy causes and contributed to the phenomenal growth of the U.S. Gran Fondo scene. So make sure you add at least one of these to your Bucket List this year. Well known Californian Pro Cyclist, Phil Gaimon has called time on his career last season, to move onto new challenges. He's held the record for the Mount Washington hill climb and several stage wins too. He previously rode for Cannondale-Drapac, one of the top teams in the UCI WorldTour. Phil hasn’t stopped cycling, actually the reverse. Phil has been taking Strava KOM scalps all over California and beyond. Recently Phil took the KOM on Mount Baldy, previously held by Team Sky's Ian Boswell. Boswell’s record was set in the 2015 AMGEN tour of California. Boswell's time up the 4.3 mile climb which is an average of 9.3% was 22m 42 secs. Gaimon beat this by 17 secs. He spent New Year's Eve riding 62 miles up Mauna Kea in Hawaii, to bag the ultimate Strava KOM. Every time Phil mentioned that he lived in Los Angeles, people would ask him he can train in a town known only for traffic and movie stars? This was Phil's answer, "I've ridden all over the world, and with great climbs, ocean air, and perfect weather year-round, I don't want to live anywhere else. This event was my idea to show off my home roads and help Los Angeles get the reputation it deserves as a cycling destination. I designed the courses myself, and chose the food, drinks, sponsors, and high-class amenities to give riders the full LA experience. Pro teams have held their training camps here for years. Here's your chance to find out why!" Phil loves cookies and as a Pro, fans would bring him cookies for him to munch on at the end of every stage, hence cookies became Phil’s signature and hence he came up with the one of the coolest names for a Gran Fondo. Phil’s Fondo has 3 cleverly designed routes using the roads Phil uses regularly to train on, the 46 mile Sugar Cookie, the 87 mile Chocolate Chip and the 118 mile Double Fudge. The 46 mile Sugar Cookie is the shortest route, but don't think it’s be easy. Starting in Malibu, it climbs Potrero Road, cruises along the top of Sycamore Canyon a short climb up Decker Canyon from Westlake. Survive that, and you've earned a fun descent down Mulholland Highway to the Pacific. The 87 mile Chocolate Chip is the most popular ride. Experience the best that Southern California has to offer, with a total of four climbs, and an optional fifth on the unpaved Sycamore Canyon if you're still feeling ambitious. This is a serious route with serious altitude gain, not for beginners. The 118 mile Double Fudge, nearly crazy by all measurable standards. This route will test your endurance, climbing legs and will power. Select this route and you'll get a glimpse into a Pro Tour stage race. Designed by Phil himself, survive this route and you'll have something to brag about! This is probably one of the hardest Gran Fondo’s in California, if not North America containing around 12,000 feet of climbing! The inaugural event in 2016 was a sell-out, attracting well over 1,000 riders. The crew at Serious Cycling has created one of the best cycling events you will find in America: a two-day, two-stage event along the California coastline. Only in its fourth year, the Malibu GRANFONDO has exceeded expectations in offering an event that combines the spectacular cycling terrain around Malibu, California, with a full weekend of riding, dining, and unparalleled pro-level support. Though there is no shortage of Gran Fondos in Southern California, the Malibu GRANFONDO has carved its niche as a more exclusive event that maintains a 250-rider field limit, and the opportunity for a second day of fully supported riding following the 151km Fondo on day one. This year’s event will be held on March 4 & 5, with Four Seasons Hotel Westlake Village playing host to the start and finish, in addition to offering a complete cycling package with luxury accommodations. The Malibu GRANFONDO is designed for those who train regularly, love to travel and enjoy making new friends from around the world. The event draws athletes from Canada, Germany, Italy, UK and numerous outlying States - all seeking warm weather, premium riding terrain, and great camaraderie. To commemorate their achievement, ASSOS of Switzerland has designed the 2017 Limited Edition Jersey, available to event participants only. The Malibu GRANFONDO features 22 miles along the Pacific Coast Highway, passing by some of the most famous beaches in the state. While PCH makes for mostly flat riding, the final twisting climb up Latigo Canyon, featured as the KOM/QOM of the event, is not quite so gentle as it heads up for 10 miles and presents the day’s biggest challenge, as well as numerous of photo opportunities. Post-ride is all about the experience back at Four Seasons Hotel Westlake Village - instead of packing up their bikes and heading home, cyclists are rewarded with a full bottle of wine, an exceptional and relaxing gourmet meal in the Garden Pavilion, a live jazz band, Cyclists Massage, as well as a bike wash/lube & valet service following the ride – ALL of which is included in the entry fee. But the event does not end there – participants and their guests are invited to a complimentary Wine and Tapas Evening Reception, also hosted by Four Seasons Hotel Westlake Village, where they can share tales of the day and view the starting order for Day Two’s event, the 20 k Individual Time Trial along PCH in Malibu. Athletes also have the option on the second day of a non-timed recovery ride along the same route. For those completing the full omnium pro experience, overall prizes will be awarded based on cumulative time from the two days. To round out the event weekend, Vintage Grocers of Malibu provides a full service gourmet brunch under the sun at the finish line. The Malibu GRANFONDO celebrates all that is great about the world of cycling; beautiful landscapes, long arduous climbs rewarded with incredible views, healthy food (and plenty of it!) and the chance to spend a whole weekend with a team of likeminded athletes. The city of Tehachapi is a beautiful mountain community nestled between the San Joaquin Valley and the Mojave Desert. Located at approximately 4,000 feet, with picturesque views and friendly outlook, it will give you a fresh perspective on life on your first visit. Tehachapi is only 60 miles from the bigger cities, with clean air and a beautiful location, cyclists in the know love it. The Tehachapi Gran Fondo isn’t just a cycling event, it’s an entire weekend celebration. On the day of the ride the entire community comes out to support, with over 260 volunteers and the public cheers from many places along the route waving their cowbells. The Tehachapi Gran Fondo is much more about the whole experience than the cycling itself. The 3rd edition of the annual event in 2016, drew in over 1,000 cyclists from 163 different cites, 6 different states and 2 different countries contributing to an estimated turnover of over $300,000 dollars for the local economy. The 2016 Tehachapi Gran Fondo was voted Champions of Economic Development in Sports Tourism by Destination Sports Management Magazine (National Magazine) such is its success at putting Tehachapi on the tourist map and making a huge impact on the local economy with the communities wholehearted support and love of cycling. Such is its reputation, it was named “Best Century in California” for the 3rd year in a row by Cycle California Magazine. The Gran Fondo is timed so that participants can compete for fastest times on certain timed sections (climbs). It takes cyclists on beautiful routes that showcase the areas scenic beauty and points of interest. The mass start road cycling event features multiple routes ranging from 18, 38, 60, 86 to the full 104 mile Gran Fondo, so that all abilities of riders can participate. Participants wear a timing chip that records how long it takes them to complete the course. The Gran Fondo is an annual tradition imitating the Italian theme and participation is open to all recreational and amateur cyclists. 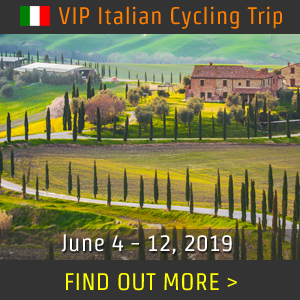 The weekend long experience is a festive one which includes a large cycling expo and an Italian themed pasta feed for participants. The FREE BIKE VALET service will watch over your bike while you enjoy lunch as part of your registration and participate in the festivities. Wash the road dirt off with a glass of cold beer and kick back to DJ music. With activities for all ages, invite your friends and family to join you to celebrate your completion of the Tehachapi GranFondo and celebrate cycling with the whole community. Working with the Kern County Board of Trade the Tehachapi Gran Fondo is destined to become the Premier Kern County Event, drawing several thousands of participants from across California and North America. When it comes to climbing, Vermont came out top on Strava, with cyclists climbing an average of 1,500 feet every ride followed closely by cyclists in Colorado and California. To say it’s hilly is an understatement. While he’s not making Maple syrup or cycling, retired Pro Cyclist Ted King and Tour de France rider rated the Green Mountains as one of his favourite places to ride in the world. From an acorn grows a mighty oak tree, this perfectly describes the Vermont Gran Fondo on its journey to the Gran Fondo Hall of Fame. The Vermont Gran Fondo returns for its fourth edition on July 1, 2017, with a special emphasis on rider experience. Hundreds of cyclists take part from all over Canada, the U.S. and internationally. 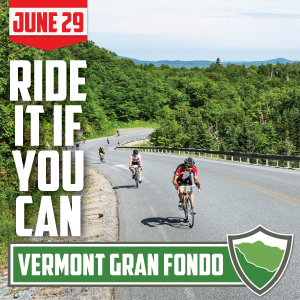 The Vermont Gran Fondo’s routes are some of the toughest Gran Fondos in North America and probably the toughest in the North East. This year’s courses tackle the Appalachian, Lincoln, and Middlebury Gaps. The climbing will be no less challenging, the views every bit as breath-taking, and the post-ride party kicked up a notch. The Gran Fondo route will cover 108 miles and more than 11,000 feet of climbing over Appalachian (twice), Lincoln and Middlebury Gaps—yet again, a quadruple-gap century ride. The Medio course will traverse the Middlebury and Lincoln gaps, making for 68 miles and more than 7,000 feet of elevation. The Piccolo will cover 39 miles with 2,900 feet of elevation. Both the Gran and Medio routes will once again include an ascent of the eastern slope of Lincoln Gap, whose 24% maximum grade includes the steepest paved mile in the U.S. - which will come earlier in the ride this year! NEW for this year are fully stocked rest stops and toilets at the top of every Gap and a later date of July 1st to give riders the best opportunity to train and enjoy more reliable weather. The Vermont Gran Fondo après ride party will take place on the same premises as the start and finish area at Woodchuck Hard Cider on Exchange Street in Middlebury, from 2 to 7 p.m. Returning cyclists can take a complimentary shower and enjoy live music, food, beverages and local ice cream, as well as Woodchuck Cider’s many varieties. For those wanting to really test their mettle, the routes include timed sections on each Gap. Riders can compete for the fastest overall time and take home our coveted KOM and QOM trophies again this year! Register before April 1st and save with discounted early bird fees. Take advantage of discounted team entry for three or more riders too. The Vermont Gran Fondo is produced by Cycle Addison County, Inc., which is chartered to support cycling in the region through programming, education, infrastructure and equipment. Its members include cycling enthusiasts and athletically inclined tourism and business development representatives. The Vermont Gran Fondo wouldn’t be possible without founding sponsors VBT Bicycling and Walking Vacations, bMighty2 and the Addison Independent; and event sponsors Woodchuck Hard Cider and the Addison County Chamber of Commerce. In 2015, in its inaugural year, over 1,200 riders celebrated with Jens Voigt along the best roads that Marin County has to offer. The 3rd edition of the 2017 Jensie Gran Fondo of Marin County is shaping up to be a spectacular ride yet again. Anyone who enjoys road cycling regularly will love the Jensie Gran Fondo of Marin. They have chosen three routes so that riders of all abilities can have a great experience. Distances of 40, 70 and the aptly named "Shut Up Legs" 100 miles. Be safe in the knowledge that should you require any assistance, it will not be far away. You can expect an awesome and memorable day with Jens Voigt, arguably the most fun guy in pro cycling. You'll be treated to a Pro Tour level experience with on course neutral support. You'll ride along the world-class roads of Marin County, with notable views of Alpine Dam, Mount Tam, Stinson Beach, Bolinas, Point Reyes and Tomales Bay. We'll keep you fueled with fully staffed and stocked service stops. At the finish, you will enjoy the Gran Fondo village where you will be treated to a Jensie inspired recovery meal, music and an ice cold local brew. All registered riders will also receive a swag bag with the official Gran Fondo rider guide, goodies from participating sponsors and a Jensie Gran Fondo commemorative water bottle. The Jensie Gran Fondo has been designed to be an extraordinary day in Marin County, with a focus on enjoying the best of Marin with Jens Voigt and our respected event partners. At the conclusion of the event, “suffering” the Jensie way, they will have prepared a “village” environment for you to enjoy the fruits of your labor. Taking an hour or two to relax and recover is a part of any cycling event’s tradition. You’ll find a wide range of foods available from some of the best vendors in Marin County. You’ll also find a glass of something cool and refreshing to wash it down with, whilst you sit in the shade, soak in the atmosphere and enjoy the moment. For those of you who have come along with the family, they’ve arranged for their friends at Stafford Lakes Park to offer some fun activities which will keep them engaged and occupied, and wishing their parents had not ridden the course quite so fast. This includes the new bike park that any non-Jensie riders can enjoy. New for 2017 is the Jensie Founders Club, from the moment you register your unforgettable experience will begin. You will receive VIP service at registration, ProTour level support on course and access to recover in the exclusive Founders Club tent, where you’ll rub elbows with Jens and other famous types. On Sunday, Jens will lead the Founders Club on a recovery ride followed by an intimate lunch. It’s will be an extraordinary weekend. Simply bring your bike and they will take care of the rest! The Marin County Bicycle Coalition is the direct beneficiary of The Jensie Gran Fondo and is the premier bicycle advocacy group of Marin County. They are responsible for Safe to School programs and the maintenance and introduction of all bike paths all over Marin County. They are focused on connecting communities through cycling and ensuring safe roads and paths while providing riders with amazing bicycle routes that span the entire county. The affable and ever popular Ex-Pro, Jens Voigt battled through ice, snow, hail and wild boar for 27 hours to raise 25,000 Euros for cancer research organisation Tour De Cure Australia. The retired Tour de France stage winner and former UCI Hour Record holder, Jen Voigt rode up and down the famous "Teufelsberg" which loosely translates to "Devils Mountain" in Berlin's Gruenwald forest, his home-mountain which features about 90m of elevation. He climbed the "Teufelsberg" over 100 times in the 27 hours, which is the accumulated vertical elevation of the world’s highest mountain, Everest which is 29,029 feet or 8,848 metres high. Jens was hoping to raise around 10,000 Euros, for the charity Tour de Cure to help find cures to beat Cancer, however after regular updates on social media, wishes of support and dozens of riders joining him on his quest, his total reached over 25,000 Euros. Voigt is also an ambassador for the 2017 AMGEN Tour of California, the U.S. leg of the UCI WorldTour. Come and celebrate the U.S.A’s Premier Professional race, the 2017 UCI WorldTour AMGEN Tour of California. Be a pro for a day and experience one of the Amgen Tour of California's toughest stages the men will tackle on Stage 5, Thursday May 18th. Join thousands of cyclists taking part in the seventh edition of the L’Etape California. The steep switchbacks up to the Mt. Baldy Ski Area at 6,500 feet elevation could serve as the deciding factor in crowning the overall champion for this year's race. Mt. Baldy is located 45 miles from downtown Los Angeles and is a popular location for hikers, sightseers and cyclists year-round. Cyclists from far and wide visit Mt. Baldy to climb the challenging switchbacks, which ascend over 2,000 in only 4.3 miles. The stage includes the categorized climbs of Glendora Ridge Road, Glendora Mountain Road and Mt. Baldy Road and is approximately 80 miles and includes around 11,000 feet of climbing. Cycling enthusiasts will be able to tackle the same stage on April 30th, just over a week before the racing begins. The four-day AMGEN Breakaway from Heart Disease Women's Race empowered with SRAM will bring the best in the sport to race in Northern California May 11-14, followed by the men’s seven-day stage race May 14-20. The twelfth annual edition of the men’s race will visit 12 Host Cities from Sacramento to Pasadena. Former Champions Kristin Armstrong, Jens Voigt and Freddie Rodriguez were recently named official race Ambassadors. Peter Sagan, the 2015 overall Amgen Tour of California winner and record holder with 15 stage victories since riding for the first time in 2010, will headline an all-star peloton when America’s most prestigious cycling stage race launches the 12th edition in May, 2017. Sagan, one of the most popular cyclists ever to compete in the Amgen Tour of California will be racing for his recently launched BORA-hansgrohe team hoping to add on to his current record of 15 stage wins including two in 2016. The 2015 and 2016 (current) World Champion will be racing in the Golden State for the 7th consecutive year. L’Etape California by Le Tour de France is a ride designed to challenge cyclists on a course comparable to an Alps Mountain stage of the world’s most well-known cycling race. It is part of the Etape du Tour Series which encourages cyclists around the world to ride like Tour de France legends in over 10 international locations including Japan, Australia, South Africa, and Brazil. Three-time Tour Champion Chris Froome serves as an ambassador for the series. Previous editions of L’Etape du Tour have allowed cycling enthusiasts to ride the Queen stage of the Tour of California which have include the climbs of Mount Diablo, Rock Store in the Santa Monica Mountains, and Gibraltar Road in Santa Barbara County. The fourth edition of this classic annual fall cycling event, presented by VisitAvilaBeach.com, will again feature three routes of 25 miles, 61 miles or 100 miles that all showcase the scenic Central Coast of California. Enjoy epic coastal and wine country vistas, in 70 degree fall weather over rolling miles of clean open road. The SLO GranFondo attracted a HUGE amount of attention last summer, when it was revealed that Stage 4 of the 2016 AMGEN Tour of California, which began near the iconic Morro Rock on Wednesday, May 18th and headed up Highway 1 for the first time, that produced a taste of what the San Luis Obispo County and the SLO GranFondo had to offer. Event weekend begins on Saturday, October 28 with our three timed rides. The 100 Mile SLO GranFondo includes an incredible 4.5 Mile, 1300ft. KOM / QOM up Green Valley Road, just outside the serene coastal town of Cambria. Traditional pink jerseys go to the winner of the GranFondo and polka dot jerseys to the KOM / QOM! Also on Saturday, all of the riders will then enjoy the celebrated Race SLO Finish Line Festival featuring award-winning Central Coast BBQ, local beer, wine and music. New in 2017 will be the Pro Panel hosted right on stage with television personality and the often irreverent Bob Roll, USA Cycling Chairman Bob Stapleton and our invited pro riders. Listen in on all the best of 2017 and look ahead to what the 2018 cycling season will have in store. All riders will also be able to take advantage of our Bike Valet, washing tents and recovery lounge. On Sunday, October 29, a limited amount of tickets are available for the VIP Recovery Ride & Wine Event with Bob Roll and our pro riders starting and ending in Avila Beach at Sinor-Lavallee wine tasting room. 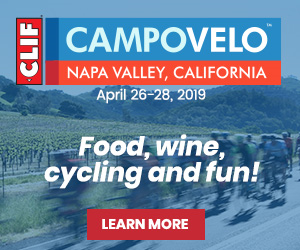 The event draws in top teams and hundreds of riders, including professional cyclists Alison Tetrick, Ian Moore, Holly Beck, Matt Bigos, Ina Teutenberg, Neil Shirley and the Clif Bar Team. The event weekend also includes an engaging Pro Panel reception, which for the first time will be held during the finish line festival at the Avila Beach Golf Resort, featuring all the pro riders along with author, Tour de France & Tour of California commentator and former professional Bob “Bobke” Roll and USA Cycling’s Bob Stapleton. Enjoy the Race SLO VIP race experience provided for all of the riders from the beginner to the pro. Last year Vinny Owens, 35, of Fresno, CA and Jane Despas, 51, of Menlo Park, CA won the coveted pink jerseys in the SLO GranFondo 100 Mile race in 4 hours, 24 minutes, 39 seconds and 4:44:50, respectively. For Despas, an Australian native, impressively three-peated as the women’s champion. In the 100 mile GranFondo, the fastest rider to the top of Old Creek Highway 46 climb, Kevin Bernotas, 28, from Irvine, CA and Despas were also crowned King & Queen of the Mountain (KOM / QOM), clocking 18:22 and 24:02 respectively for the 4.5 mile time trial featuring 1,339 feet of climb, and each earned the coveted polka dot jersey. Organized by Race SLO, it was recently revealed that the California Central Coast’s leading endurance sports event producer had completed an economic impact study of its three 2016 events: 5th SLO Marathon + Half and 5K (Spring), inaugural SLO Ultra trail races (late Summer) and 3rd SLO GranFondo cycling festival (Fall). According to the comprehensive study compiled by Productive Impact LLC, overall, the three events produced $4.01 million of total economic impact in San Luis Obispo County plus more than $230,000 in local tax revenue. The SLO GranFondo is happy again to support ALPHA and the Hearst Cancer Resource Center at French Hospital Medical Center, two San Luis Obispo County not-for-profit organizations. Come experience the best the California Central Coast has to offer: year-round sunshine, rolling green hills, unspoiled open roads, first class finish lines and more! The Rollfast Gran Fondo has been ranked a Top 10 in the Country for the past 3 years. With three routes to choose from. The Piccolo, The Medio and The Gran you can ride any pace you choose. Each route has plenty of rest stops stocked with food and drinks. One even has fried chicken! By 2016, the legend had spread across the borders of the United States into Canada and even Puerto Rico. “This is one fast event.” New riders traveled and conquered the SUB4 Challenge. In 2017 we will provide added neutral moto support. Live video feeds will give the feel of a World Tour event on the front of the pack and finishers will be rewared with a custom belt buckle for their efforts. To keep the pace high the Gran Fondo was paced the entire ride by the B.O.M.B Motorcycle club. A dozen sweet, custom and very loud Harley bikes lighting it up to ensure the lead two groups had the road, stopping traffic, for ALL 100 miles. 31 riders finished in the SUB4 Club including founder Matt Tanner, Cinch Cycling's Tom Danielson and the legend that is Bob Roll, riding alongside riders from Zipp Team, TOAD cycling, Team Phoenix, Hero’s, Team Nebo Ridge and a few other strong teams. The fastest time for 100 miles was 3h 52m and 48s. That’s fast! This year riders that complete the Sub4 Challenge will receive a custom belt buckle for their efforts. Following the tradition of races like Leadville, the Rollfast Sub4 buckle will be designed with Indiana inspiration and the Sub4 Logo. This legendary ride is so popular it sells out way in advance every year. This year there are 800 places available. Last year Rollfast were able to sponsor Jacob Hoggard. Hoggard a Carmel native who has been racing since 2013. He began his career riding for the Rollfast Cycling Club. He currently races for First Internet Bank, whose colors he carried by taking part in the Tour de l’Abitibi Desjardins. Abitibi is the only North American stop on the prestigious UCI Juniors Nations cup circuit. Comprised of seven stages—all of which take place in Europe except Abitibi—the Juniors Nations Cup is an international road cycling race that draws thousands of participants from 40 countries. His debut in Abitibi let him shine an international spotlight on his talent and the larger pool of world class cyclists living and training in Indiana. The contribution Rollfast teammates made to his training and ability to compete at this level are undeniable. Your Chance to Wear the UCI World Champion Rainbow Stripes! 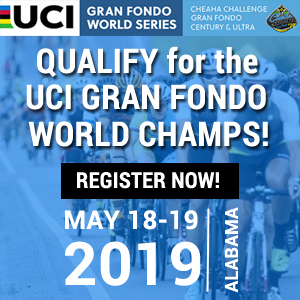 After a two year absence the Cheaha Challenge was selected by the UCI Gran Fondo World Championships as the only qualifier in the United States for the international event. The UCI Gran Fondo World Series returns to the U.S. with the Cheaha Challenge Gran Fondo, Century and ULTRA in Jacksonville, Alabama on May 21st 2017. The Cheaha Challenge and the UCI Gran Fondo World series, removes any doubt that some Gran Fondo’s are full on races at the front of the field. If you finish in 1st, 2nd, or 3rd place or in the top 25% of your age group in the Century ride, you will qualify for the 2017 UCI Gran Fondo World Championships in Albi, France in late August, and a shot at the World Champions Rainbow Jersey. "The toughest ride in the South," the Cheaha Challenge, part of the Alabama Backroads Century Series, dates back to 1992 and challenges riders over Mount Cheaha, the highest point in Alabama. The Cheaha Challenge has a lot of specialty additions to the ride. Live bands, buffet food, $5,000 dollars in prizes, Team and Individual Awards, and a family ride. The Rest Stops are amazing, and they hold a contest as to which feed station is the best. New for 2017 is the transport to the top of Alabama, where the first KOM ends. There are two KOM/QOMs. One on the Century/Ultra course and another one just on the ULTRA. For those looking to take part in the UCI qualifier, the age groups are 19-34, 35-39, 40-44, 45-49, 50-54, 55-59, 60-64, 65-70 and 70+ and are determined by the cyclist's age on Dec. 31 of that year. 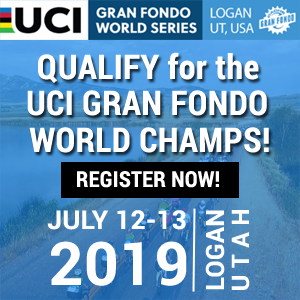 The first 25% of athletes of each age group will be awarded with guaranteed entry to the UCI Gran Fondo World Championship in France and be able to ride for the World Champion title. The first three finishers in each age group category will automatically receive entry eligibility. Only the CENTURY riders of the Challenge are eligible to receive this designation. There are chances to win the coveted KOM/QOM jerseys and cash prizes for 2nd and 3rd place! There are also cash prizes for 1st, 2nd and 3rd in the overall Century and Century age group categories too. Again up to $5,000 dollars of prizes are on offer on the Century and ULTRA distance rides across 10 age and Team categories. Already registration is significantly ahead with nearly 300 riders entering. 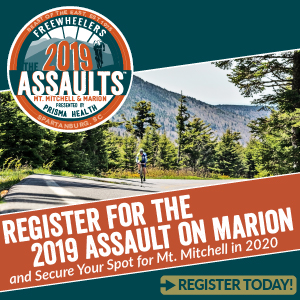 Last year, almost 700 riders from 19 states participated in the event and it’s guaranteed that this year will see a record number of riders taking part in the UCI qualifier or the opportunity to complete one of the challenge rides on offer. For more information regarding the UCI Gran Fondo World Championships in Albi, France, please go to: albi2017cycling.eu UCI Qualifiers will be automatically invited to register in advance. Recognition for new Gran Fondo racing format and experience for U.S. cyclists - timed climbs, individual and team prizes for all abilities. 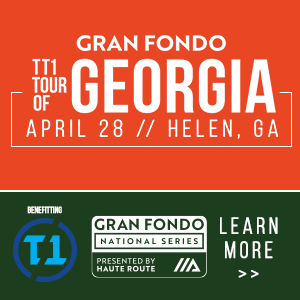 The Giordana Gran Fondo National Championship Series has done exactly that, established itself as the North America’s largest and most significant national series of Gran Fondos. The expanding series of eight events across the U.S. and Canada has attracted thousands of cyclists, as popularity increases at a phenomenal pace, especially in the past few years. Every event in the series offers courses covering approximately ~30 (Piccolo), ~60 (Medio) and ~100 miles (Gran) through some of the most beautiful, and challenging cycling terrain across the U.S. With up to four timed sections, riders with the fastest combined timed, across a range of male and female age categories, gives riders and teams of all abilities, the chance to win jersey’s, swag, and cash prizes. The new format that has proven very, very successful, attracting cycling enthusiasts of all ages and abilities up to professional riders from the likes of teams like UnitedHealthcare, Lupus Racing Team and some well-known celebrities who cycle, including Scott Russell, 1993 FIM Superbike World Champion and Brendan Sullivan and Michael Roach too! Each event in the series raises money for local charities and local community and well over 100,000 dollar’s has been raised over the past 5 years. Maryland raises money for the Student Homeless Initiative Partner of Frederick County (SHIP). One of the growing age related groups bucking the national trend in the series is the collegiate category. More and more young riders are being motivated and inspired to get out there and challenge themselves. Gran Fondo Maryland is the series finale, in Frederick, Maryland on the Sept 17th which counts as the one day National Championship for Gran Fondo racing in the U.S. The Gran Fondo National Championship in historic Frederick, Maryland is the opportunity to earn the title of fastest rider in the incredible Gran Fondo format. Gran Fondo Maryland offers some of the longest timed sections and most challenging terrain of any Gran Fondo! 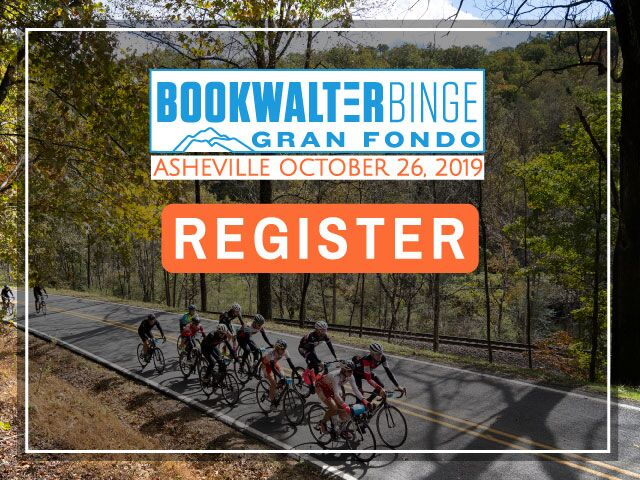 The rider with the fastest combined time through each designated section will have truly earned their Gran Fondo National Championship Jersey! Like all GFNCS events, Gran Fondo Maryland offer distances to suit all abilities; the Gran Fondo is 98 miles with 9,181 feet, the Medio 63 miles with 5,765 feet and the Piccolo 29 miles with 2,386 feet of climbing. The Gran Fondo contains 4 timed climbs of Hamburg Hill, Harp Hill, Friend Creek and Gambrill Park, as well as 4 aid stations. The Medio contains the 2 timed climbs of Hamburg Hill and Gambrill Park and 3 aid stations. The Piccolo Fondo contains the timed climb of Hamburg Hill and an aid station afterwards. The well designed, quiet and breathtakingly beautiful routes take riders on a scenic loop north through several different parks, forests and protected watersheds, touching the Pennsylvania state line before heading south into the Catoctin Mountain National Park, Frederick Watershed and Gambrill State Park. As with all GFNCS events riders benefit from fully stocked aid stations and SAG support to keep them going and a Post-Race Food & Beverage Festival for a fun recovery. Each rider is provided an electronic timing-chip to keep track of their progress throughout the course and to allow riders to compete for best time through highlighted sections of the course. The Golden Gran Fondo, is one of the toughest one day Gran Fondo's in U.S. with around 10,000 feet of climbing through Colorado’s Rocky Mountains. Want to save dollars? When you register with the GFNCS 3 or more race option you'll save even more on your entry fees! Registering for three events also bypasses price increases. Gran Fondo New York was founded in 2011, when it brought authentic Italian amateur bike racing to the world’s greatest city. GFNY is a global cycling marathon series, having expanded to 15 races in 2017. The 7th Annual Campagnolo GFNY New York will be the third GFNY Championship. The race features the world’s most international peloton with riders from over 90 countries. Riders get to BE A PRO FOR A DAY by competing against others, themselves and the clock in a personal endurance challenge. The Championship race is a 100-mile cycling marathon with 8,500 feet of climbing from NYC to Bear Mountain and back, open to professional cyclists and amateurs. The event is run like true Italian Gran Fondo: mass start, chip timed start to finish, right of way for riders along the full course, results based on overall time and prizes for overall winners and age group podiums. The 50-mile “GFNY Bear” is a timed bike tour. Finish times are provided in alphabetical order. There are no prizes. GFNY Bear is a stepping-stone to the GFNY 100. The course ends at Bear Mountain, from where riders are transported back to NYC. 85% of the riders set out to ride GFNY 100. The 2015 Campagnolo Gran Fondo New York winner was Raul Montana from Colombia. The runner-up was Timo Krieger from Germany followed by NYC local Mike Margarite in third. After 2015 Mike Margarite, Dan Chabanov and Gavi Epstein set out to keep the crown in town. Last year Margarite (Weather Channel Racing) attacked the leading group at the bottom of Bear Mountain and quickly established a gap of 40 seconds at the top of the climb and spent half of the race time trialling on his own. He quickly established a 5 minute lead over the peloton. Rego, who was dropped on the Bear Mountain climb, by the leading group - got back. Rego then went on the attack to chase Margarite. The peloton seemed too disorganised to chase and the gap grew and grew. Cruz also went on the attack, chasing Rego. Mike Margarite kept the crown in town by completing the challenging 100-mile route with 8,500 feet of climbing from NYC to Bear Mountain and back in 4h 30m 15s ahead of Allan Rego 4h 36m 18s and Adderlyn Cruz 4h 36m 50s. Several riders at the finish commented that the standard of riding last year was at another level. Allan Rego (Lupus Racing Team) commented "We had the pressure of bringing the win back to New York this year, and after all the hard work, it has finally paid off". For the women, Columbian rider Camila Cortes powered away to finish over 20 minutes ahead of Brazilian Marcella Toldi and Canadian Heather Low. In 2016, the overall winners received a GFNY De Rosa bike with Campagnolo components valued at $13,000. At each GFNY event, you will enjoy; Closed roads or police moderated traffic with right of way at all intersections; The chance to do your best on a challenging course without having to worry about anything but riding; Chip timing, results and rankings; Competition prizes across all age groups; The chance to qualify for an elite corral starting position at the inaugural GFNY Championship in NYC and a Uniform set of rules; great participant and family experience. Anyone can register for the GFNY Championship but GFNY Mont Ventoux, GFNY Deutschland, GFNY Italia, GFNY Indonesia, GFNY Cozumel-Mexico, GFNY Argentina, GFNY Mexico City, GFNY Uruguay and GFNY Colombia are qualifying events for the racer corral. The GFNY 2017 fundraising program for the May 21, 2017 event focuses on giving back to the local charities and non-profit groups. The GFNY Community Fund will provide volunteer grant opportunities to non-profit organizations. To date, over a dozen organizations have committed to work with GFNY’s 2017 edition. Organizations such as Safely at Home, Stony Point Police Athletic League, FBI Explorers, DEA Explorers, Operation Smile and over a dozen EMS corps. In 2016 Campagnolo GFNY Championship in New York became an event sanctioned by USA Cycling. A rule change in the competitive mass participation category opened the door for a renewed partnership. USA Cycling's updated memberships for 2017 offer recreational cyclists some great benefits, especially the additional accidental insurance whilst taking part at fun rides, Gran Fondos, and Gravel Grinders, and the 24/7 roadside assistance. For those training for longer distance endurance events, the second benefit could come in really handy, especially if you're stranded for some reason. Ride Memberships are designed to suit a wide range of cyclists, from weekend warriors, to those who race or might be thinking about trying racing. 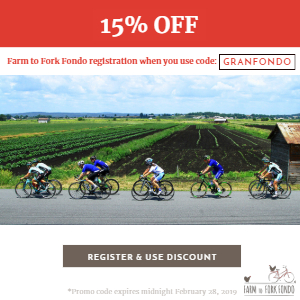 This helps support the growth and development of U.S. Gran Fondos, as it gives riders the ability to choose to race at the front or just enjoy the experience of taking part, achieving that personal goal and the chance of winning prizes too. With the return of a U.S. 2017 UCI Gran Fondo World Series Championship qualifying event, after a two year absence, at this years Cheaha Challenge Gran Fondo in Alabama on May 21st 2017, there are exciting times ahead for recreational riders and racers alike at U.S. Gran Fondos. Cycling for a cure. Gran Fondo supports promising MSU research on melanoma! Over 2,200 cyclists will pedal through West Michigan this June and will do more than just get in a great day’s riding. They’ll also contribute to a possible new treatment for melanoma. In its first four years, the MSU Gran Fondo cycling event raised $640,000 for Michigan State University’s College of Human Medicine. The funds directly supported research that’s already discovered a compound that reduces the spread of melanoma cells by up to 90 percent. The discovery could lead to a new drug to treat melanoma, a form of skin cancer that kills 10,000 people annually. As plans come together for Gran Fondo 5 on June 24, organizer Bob Hughes believes the recent announcement from MSU can provide added momentum and help to grow the event further. The news “put a big smile on my face,” Hughes said. “It was a critical step in the process to get us over the goal line,” Neubig said. Neubig said an Investigational New Drug study typically costs between $1 million and $5 million. But the team remains determined to move forward with a drug that could save countless lives. “We’re working very hard to get to the stage where we can move this to commercialization,” Neubig said. The 5th edition of the MSU Gran Fondo is a fun, non-competitive cycling event where cyclists of all skill levels ride along scenic 12, 25, 40 or 80-mile routes from downtown Grand Rapids to Lake Michigan, enjoy gourmet food stops along the route and celebrate at the Finish Line Festival with live music, craft brews and a grand feast. Last year’s ride saw well known radio personality Eric Zane take part to raise money and ex Pro cyclist and cycling commentator Bob Roll. Bob Roll is one of America’s most well-known ex-professional cyclists who rode on both the Motorola and 7-Eleven team in the 1980s. Better known as “The Bobke,” he brings a wealth of fun insights and colourful commentary about the world of cycling. For both casual riders and avid cyclist, there's a ride for everyone. All routes start and end at The B.O.B. in downtown Grand Rapids. Stops along the way are a foodie's delight offering the area's finest cuisine and the fresh taste of Michigan-sourced foods. The day culminates with the Finish Line Festival - an outdoor after party with craft brews, a grand feast and live music. Electronic timing and ride results posted onsite and online. Support wagon and mechanical support provided. The MSU Gran Fondo 80-mile route follows the picturesque Grand River valley through farm and small villages before reaching the bayous and lake scenery preceding the turn-around point on Lake Michigan, at North Ottawa Beach. The return route takes riders up through expansive farms, orchards and vineyards that provide some beautiful vistas and challenging rolling hills for the riders. The route then turns home for the final push home. The MSU Gran Fondo 40-mile route shares a great part of the opening for the 80-mile route and follows the beautiful twists, turns, villages and farm roads that run along the Grand River Valley, toward Lake Michigan. Before reaching the Spring Lake, and the last push to the Lake Michigan shoreline, the route returns along the same return route as the 80-mile ride so to experience the challenging rolling hills, orchards and vineyards, as the 80-mile riders. The route turns south for the final miles home. The MSU Gran Fondo 12-mile riders will enjoy the same excitement of the MSU Gran Fondo start and after leaving the heart of the city, 12-mile riders will soon discover the beautiful and scenic trails of Millennium Park. It’s an enjoyable, safe, yet challenging route that riders of practically any age, level of fitness or skill level will enjoy. All returning riders get to enjoy a day of festivities on their return. Over 2,300 cyclists took part in the 5th edition of the Hincapie Gran Fondo on a fine windy autumn day in upstate North Carolina on Saturday, through the backroads of Greenville County in the fifth annual Gran Fondo Hincapie. Well known professional riders from the past, present and future enjoyed 3 routes; the Piccolo at 15 miles, the Medio at 50 miles and the full Gran Fondo of 80 miles with around 8,100 feet of climbing. In true style, George Hincapie rode the Gran Fondo along with retired Pro riders Christian Vande Velde, Erik Zabel and Bobby Julich. A few notable VIPs were NASCAR drivers Jimmie Johnson and Matt Kenseth who rode the full 80 mile Gran Fondo. Present day Pro riders were along for the ride, notably USA Olympic and BMC Racing Team Pro Cyclist Brent Bookwalter. Brent’s partner Jamie rode and came second in the women’s Gran Fondo prize category. Other well-known Pro cyclists Rob Carpenter from Hincapie | Citadel Racing Team rode as well as Matt Busche from United Health Care Pro cycling team, to name a few. 2016 saw an overall win at the Tour of Alberta for Robin Carpenter. The Hincapie | Citadel Racing Team went directly from Alberta to the Reading 120 and finished first, third, fourth, and fifth, culminating in a first place finish in the UCI America Tour. Live action was provided via livestream on the internet and jumbo screens in Trade Street, Tryon and at the start/finish at Hotel Domestique, so fans could watch the entire race. Gran Fondo Guide also live streamed the entire race and had over 1,000 Gran Fondo fans come visit, at one point over 300 people concurrently. More than 200 promotional cowbells were be given out to local fans to help cheer on the riders. St. Luke’s Plaza in Tryon, just over the South Carolina state line, in North Carolina was the center of attention for Tryon residents and tourists as the cyclists stop for water, restrooms and a support station. The band Silver Travis played live music and Tryon Tourism’s welcome booth was handing out free pickles and “flat” cola (known to reduce cramping). George Hincapie showed that he’s still in good shape, opening up on the second climb and pulling away to be re-joined at the top. George took time to meet and greet the thousands of cyclists at the feed stations. Riders were all rewarded for their efforts enjoying amazing views, especially at the top of the KOM climb of Skyuka Mountain. Hincapie’s son Enzo, a keen cyclist, got to ride in the front group in the final miles with Brent Bookwalter and Christian Vande Velde leading the way. Enzo outsprinted his dad on the line to take the bunch sprint. NASCAR drivers Jimmie Johnson and Matt Kenseth were whisked away by helicopter after completing the ride in just over 4 hours and 40 minutes. Both had a pressing engagement - they had to get to Talladega in time for qualifying! Testament to the event’s appeal and that of Gran Fondo’s across the whole of North America, there was a 56 percent increase in entries and more than 48 percent of the entrants riding the race for the first time. Proceeds from the ride continue to benefit Greenville County’s Meals on Wheels. The event was packed with free food, drinks and live music for adults and children, before during and after the ride, making it a great day out for the whole family including a kids Fondo. We do know that Conor Schunk, won the Gran Fondo and a new Canyon Bike presented by cycling Legend Erik Zabel. So did Debbie Milne who won the women’s Gran Fondo category and a new Canyon Bike too. Jamie Bookwater was second ahead of Paolina Allan. Gran Fondo Guide would like to thank all those that followed and re-tweeted including Hincapie Sportswear, commentator Chad Andrews and Steve Fleck. Chapeau to the Hincapie Gran Fondo team. An amazing day made even more unique by providing incredible insight into the event. Gran Fondo NJ is held annually on the first Sunday after Labor Day. The event attracts thousands of cyclists of all abilities to ride its 5 distances, from the 18-mile, non-competitive Breve Route, up to the 107-mile Gran Route with 4 timed hill climbs. Gran Fondo NJ showcases the beautiful scenery of Northern New Jersey winding its way out of Morristown NJ through 23 different municipalities and finishing back in Morristown with a post-ride festival held alongside the iconic Morristown Green. Last year’s event drew in over 2,400 registered participants from around the US and around the world and was supported by a team of over 250 dedicated volunteers. The event attracted over 130 teams, with 8 teams of 30 riders or more. Collectively the cyclists rode over 146,665 miles and burned over 7 million calories, and consumed much, much more. Gran Fondo NJ was the first Cycling Event to Earn Gold Certification from the Council for Responsible Sport for its implementation of Sustainability practices in 2014. The event was also recognized by Sustainable Morristown for its continued sustainability and recycling efforts with over 90% of the waste generated from the event being diverted from landfills to composting or recycling facilities. Gran Fondo NJ 2017 offers five challenging routes of 107, 75, 62, 42 and 18 miles, with timed hill climbs on the Gran, Migrane, Medio and Piccolo routes. The 62-mile Medio Fondo route was selected by the editors of Bicycling Magazine as one of "The 50 Best Rides in America." All routes begin and end in historic Morristown, New Jersey. You'll feel like a pro finishing the ride in the finish line chute, welcomed by an encouraging team of volunteers. Relax and recover at the Post Ride Food Festival and Expo and re-live the excitement and challenges of the day with other participants as you celebrate the awards for KOM, QOM and Team winners in front of the Podium Stage and Banner. Gran Fondo NJ has seen consistent year-over-year growth and is rated extremely highly by those who experience it. For the past 5 years in its post-ride survey, roughly 40% of participants have consistently rated it "The best one-day cycling event ever." and over 90% rated it 8 of 10 or higher. Whether it is the Mass Start with over 2,000 cyclists, the Seeing Eye dogs and puppies who greet you at the first rest stop, police controlled intersections along a well-marked route, the surprise foods at the six Rest Stops, or the seemingly endless climbs, finishing Gran Fondo NJ is sure to provide its riders with some amazing cycling memories. In total, Gran Fondo NJ 2016 and its riders raised $260,010 for charity and has raised over $1,000,000 since the first Gran Fondo NJ in 2011. Registration has opened for Gran Fondo NJ 2017, being held on September 10, and is currently running 40% ahead of last year’s record numbers. Levi’s Gran Fondo makes our number one spot after it was announced, early in 2016 that Stage 7 of the 2016 AMGEN Tour of California would cover the same roads and KOM climbs as the popular annual Levi's GranFondo. It has raised over $2 million dollars for charitable causes. Starting and ending in Santa Rosa in the heart of Sonoma County Wine Country Stage 7 of the Tour of California course featured four Lexus King of the Mountain points along King Ridge Road, Pacific Coast Highway and Coleman Valley Road. Cycling fans from around the were able to watch best riders in the world compete for 4 KOM's and battle it out for the general classifications on that very same route, aptly named the King Stage. The social media frenzy that surrounded the news, the AMGEN Tour of California, Stage 7 and the resulting impact on the eighth annual Levi’s Gran Fondo was off the Richter scale in terms of popularity. The AMGEN Tour of California is America’s Premier Race, and part of the 2017 World Tour. The King Stage of the Tour of California saw race leader Alaphilippe chase down several attacks including Rohan Dennis (BMC Racing). Peter Sagan attacked the breakaway but sat up with 14 miles to go and joined the peloton for a bunch sprint. Team Katusha lead Kristoff out to take the bunch sprint by a tire width over Sagan. Founded in 2009 and in its ninth edition this year, Levi’s Gran Fondo is America’s Premier Gran Fondo. It’s also one of the biggest and most popular bike rides in the U.S. with cyclists participating from all over North America and Internationally. You too, can join up to 6,000 cyclists taking part in Levi’s Gran Fondo - a must do “Bucket List” ride for every cyclist on September 30th 2017. With 11 routes on offer, Levi’s Gran Fondo is designed for cyclists of all abilities; from the 8 mile Family Ride, 30 mile Piccolo, 60 mile Medio, the 100 mile Gran, and the challenging 116.8 mile Panzer. For gravel seekers, the Willow Creek option can be tacked on to almost any route and adds 1240 feet of climbing on packed dirt under a thick canopy of Redwoods. The 100 mile Gran Fondo, the biggest and most popular distance, will allow cyclists to ride near enough the same route and KOM climbs as used in the Tour of California. A definitive cycling experience in northern California that mustn’t be missed. From the damp redwood forests at the base of King Ridge to the 360-degree panoramas at the butcher knife-thin top, this is the stuff of memory. This includes the KOM climbs of King Ridge and Coleman Valley Road to name a few. And if you think the climbs are amazing, the descents down Hauser Bridge Road and Meyers Grade will stay with you for the rest of your days. Ahead of you is an unforgettable day’s cycling, with a mass start, full support on course, with mobile mechanical support from SRAM and full emergency services. Up to eight rest stops, each with whole foods as well as on-bike liquid and gel energy. The Panzer includes a full service Espresso bar with a selection of sweet and savory hand made Panzerotti pastries. Expect mechanical service at each stop, as well as medical personnel, on top of what's driving around on-course. Once the pedalling is done, riders and their families come together at the Fondo Sonoma festival at the Finley Center for a fun day filled with plenty of activities, live music, and great food and beverages. Use promo code GFgu&de17 (case sensitive) on check out and receive a 10% discount. Start a King Ridge Connect campaign supporting an at-risk youth organization in your community and we'll match it by donating 10% of your entry fee to your campaign. Only valid until Wednesday, Feb 15th. We hope you enjoyed our list of top Gran Fondos in the U.S. for 2017. For details of hundreds of more Gran Fondos, Centuries, Double Centuries, Gravel Grinders, Charity and Leisure rides and cycling Festivals across the United States, please visit our growing 2017 US Gran Fondo Calendar. Look out for more of our guides and training articles soon.